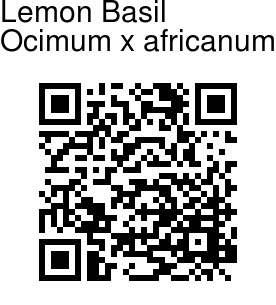 Lemon Basil is a hybrid between basil (Ocimum basilicum) and American basil (Ocimum americanum). The herb is grown primarily in northeastern Africa and southern Asia for its fragrant lemon scent, and is used in cooking. Lemon basil stems can grow to 20-40 cm tall. It has white flowers in late summer to early fall. 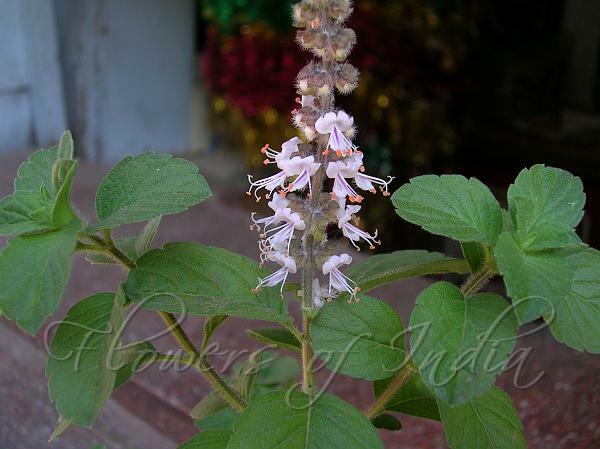 The leaves are similar to basil leaves, but tend to be narrower with slightly sawtoothed edges. Seeds form on the plant after flowering and dry on the plant. Lemon basil is a popular herb in Arabic, Indonesian, Philippines, Lao, Malay, Persian and Thai cuisine. Lemon Basil is used extensively in cooking in SE Asia. Identification credit: Thingnam Rajshree Photographed in Nainital, Uttarakhand.